What Are the Adoption Laws in Tennessee? In order to adopt in the state of Tennessee, you must be at least 18 years old. If you are single, married, divorced, widowed, or members of the LGBT community (single or married), you are welcome to adopt. You must have lived in the state of Tennessee for at least six consecutive months in order to pursue an adoption. The resident requirements may be waived if the prospective adoptive parent is active military and deployed outside the state as long as the parent maintained a regular residence (of at least six months) in the state of Tennessee prior to entering military service. Once eligibility guidelines are met, prospective adoptive parents (PAPs) must have a home study conducted by a licensed child-placing agency or a licensed social worker. Your home study must have been completed and/or updated within six months prior to filing the petition to adopt the intended child. Every state is different with regards to what is allowed in advertising to prospective birth mothers. Per Tennessee guidelines, only state-licensed child placing agencies, clinical social workers, prospective adoptive parents, and lawyers may advertise to prospective birth mothers. Once you have identified a prospective birth mother, adoptive parents will be expected to pay the birth mother and child’s expenses. 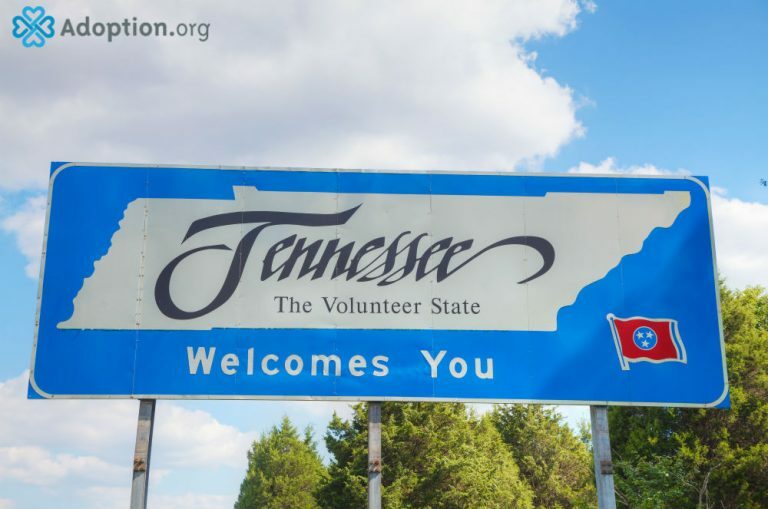 Every state is different in what is allowed, and in Tennessee you can expect to pay reasonable expenses related to the health and medical care of the birth mother and child, leading up to and including the birth. Counseling fees may be paid to the birth mother and/or child for up to a year after placement. Legal fees related to the adoption of the child will be expected to be covered along with reasonable living expenses (housing, food, maternity clothing, utilities, and transportation). There is a statute to living expenses that the period of payment may not exceed 90 days prior to the birth and 45 days after the birth. If pursuing an independent adoption, all fees associated with the adoption of the child will be presented to the court. If the adoption proceeds through a state-licensed agency, fees do not need to be presented to the court and no statutes regarding payment of expenses are in place. In Tennessee, the birth mother maintains guardianship of the child until at least four days following the birth. During this time, the adoptive parents may take custody of the child by obtaining an Order of Guardianship and a Power of Attorney to see to any medical needs of the child. If after four days the birth mother chooses to surrender the child, a petition of adoption is filed. Surrendering of the child takes place in the judge’s’ chambers and by law only the birth mother, her attorney, and the judge may be present. Following the surrender, the birth mother will have 10 days to revoke her decision. After that time, the decision becomes irrevocable. During the court proceedings, the birth mother and the adoptive parents will agree on whether to have a closed or open adoption, and whether the birth mother wishes to continue in contact or to share her contact information with the adoptee. These proceedings will be filed as affidavits. If the birth father is present, the case proceedings may be more complicated, depending if the birth father is supportive of the adoption or not. The court will notify the birth father, and like the birth mother, his parental rights must be terminated prior to completing the petition to adopt. Once the adoption is complete, you will need to file post-placement reports quarterly until the adoption is finalized. Your caseworker/social worker will handle the reports and meet with you to check in on how you and your new child are adapting. The statute of limitation to challenge the adoption is valid for one year. After this time the adoption will be finalized in court. For those interested in adopting from foster care the process is a bit different. To learn more about becoming a foster family in Tennessee, please visit the Tennessee Department of Children’s Services.